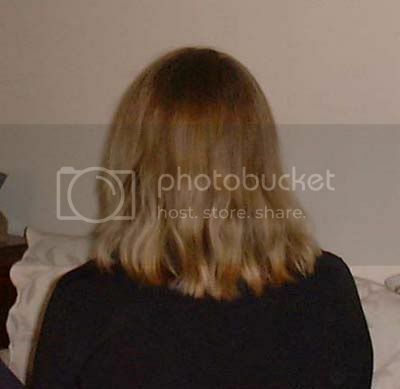 LongLocks Salon › Hair Types › So Straight › I think I'm a straightie, now. I think I'm a straightie, now. Well, having recently decided that I'm either a 1b or 1c rather than a 2a, I thought I would drop by and see what the straighties are talking about. I have nothing to contribute at this point; I need to learn. So, "Hi and bye, All; I'll be back to visit some more." Re: I think I'm a straightie, now. Hi Strawberryfine. All my life I thought my hair was totally straight, but this past weekend I discovered waves in the back under the top layer of my hair. I was so shocked! How could I not have seen them before? I don't have as much as you. You look like a 2a to me. Also, my waves seem to be more on the left side than the right. I haven't seen my hair straight for ages...it always has some waviness from buns or braids. I think I'm 1b simply because there's certain fullness/poofiness in my hair that seems to be absent in 1a type. If it's down, in this length it looks like a lion's mane (color and everything...). It's nice to be here. As my hair has gotten longer, it seems to be hanging straighter. If I wash it, then don't comb and sqeeze and air dry, I have some waves but I wonder if I am squeezing some waves into it. If I comb it out before or while it dries, it is primarily straight. I may have a little wave now and then but for all practical purposes I'm a straightie and I really like it. It feels good to embrace what you've got. I need to do a new avatar, too. 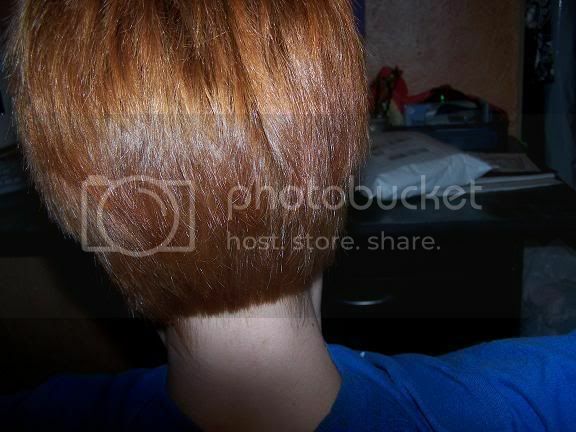 My hair looks a lot different now. Sounds like your hair is mostly straight but will hold a curl or wave if you make it. You're lucky. I think you are right. I may really be a 2a, but I still like hanging out here! I learned something from your post. I didn't know there was straight hair that wouldn't "squish" into waves. That's so cool . It is very humid today and I am a bit wavier and a little halo of frizz on the surface is evident. Thanks for responding to my post. Yeah, I've tried scrunching waves into my hair a few times and it just doesn't hold. I had to use massive amounts of gel, spray, etc. just to make it hold a curl for a few hours. My hair also gets frizzy in humid climates. Oh, and I'm a 1aFi. What is all this about 1b... 2c... etc? Is it the level of curl in your hair? Where do you find these levels? I've never heard of them.